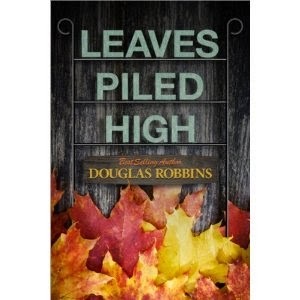 Douglas Robbins' "Leaves Piled High" is a collection of short stories covering a wide range of topics. The stories vary dramatically in setting and characters. Although I enjoyed all of the stories, my favorite is "Unhappy Campers," which focuses on a married couple going camping on Labor Day weekend. An unleashed dog causes a scene that pulls the story in an unexpected direction, and the ending really caught me off guard. The story asks a deep philosophical question that had me thinking long after the story was finished. A lot of the stories have deep themes that make you ponder as you read. If you're looking for short stories with lots fantasy and action/adventure, this isn't the collection for you. These stories are grounded in reality and capture snippets of life that everyone experiences. I'd recommend this collection to anyone who enjoys thoughtful, character-driven short stories, look no further than "Leaves Piled High."